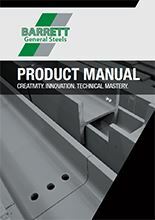 Huge range of structural sections available for immediate off-the-shelf delivery. Structural hollow sections in grades S235, S355 & S420 amongst others. Extensive stocks of flat products in a multitude of thicknesses. The widest range of merchant bar products in the UK. We are structural hollow section specialists and hold an extensive range of stock. Providing a dedicated and focused service to the offshore market. Specialists in the supply of nominal bore tube. A unique range of ferritic grades of stainless steel. 3 specialist companies dedicated to the supply of ERW tubes. Supplied as Rolled, Normalised, Annealed or Hardened & Tempered. Our stocks encompass the full range of alloy engineering steels. Vast ranges of large diameter/forged bar. Both 01 and D2 held in a range of round and flat sections. Stocked in sizes from 25mm to 500mm Dia. Low Alloy steel grades 4130, 4140, 4145 and 1/4 Cr - 1Mo F22 type. A range of materials from 0.1mm through to 5.0mm thickness. Nickel Alloy raw materials and products for use in some of the most demanding applications across the globe. Chrome-Moly and micro-Alloyed materials in sour service grades C90, T95 C110 and C125. Austenitic, martensitic and precipitation hardening grades. Offering a total service from initial advice through to design, supply and delivery. Ensuring your handrail & walkway solution is complete. Available in both copper wash (self colour) and hot dip Galvanised finishes. Total safety with no requirement for fixings or drilling. Extensively used in car parks, loading bays and factories. Off the shelf, stainless steel, modular handrail fittings. Open grid flooring, manufactured by a forge welding process. Tubeclamp fittings can be used in a wide variety of applications. A fast and accurate service to meet your requirements. All drilling is fully CE marked to exc class 4. Blasting to SA2.5 and water based weldable primer paint. Capable of punching and shearing both flats and angles. Leading edge plate profiling facilities. 11 state of the art tube lasers throughout the group. Ultra modern and German engineered - The RB 1500 Plasma Profiler. Market leaders in tube manipulation. Utilising conventional machines with our own in-house tooling. Offering you the full processing package. Setting standards our competition has yet to match. Lean and efficient inventory control. Latest announcements from around the Group. Nationwide delivery using our own dedicated fleet. Long established & financially secure. High quality tubular products & state of the art processing. Providing a complete solution servicing the oil & gas sectors. The core of Barrett Steel. Engineering your success, from start to finish. 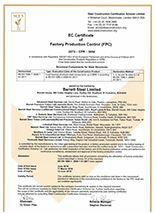 Download all of our accreditation certificates. Respecting the communities and environments in which we work. Minimising our impact on the environment. Barrett Steel Limited acknowledges internationally proclaimed human rights and is fully committed to combat slavery and human trafficking. Receiving a UKAS accredited NHSS3B certificate ratifies that Barrett Steel has in place a robust quality management system alongside it's ISO 14001:2015 certification and CE accreditation. Internationally recognised quality management approvals to BS EN ISO 9001:2015. At Barrett Steel we work hard to ensure we comly with responsible sourcing guidelines. Responsible Sourcing is the management of sustainable development in the provision of procurement of a product. Our sophisticated computing facilities means that our CAD department can import and work with most current industrial formats including DXF, DWG, NC, CDC, HPGL and IGES. Our highly sophisticated profiling software is increasingly in demand: various designs can be trialled inexpensively, with final versions securely stored on our computers. No matter how complex the shape, we can store your program for repeated use, ensuring lower costs, faster turnaround time and maximum accuracy and consistency. No matter the method of profiling that is used you can be assured of the quality of the product that you will receive as we hold CE approval to Execution Class 4. Discover our extensive range of general steel products. If you'd like to be kept informed about the Barrett Steel Group's news and updates then enter your email address below.